A fascinating personal account of a libertarian feminist agnostic who discovered a dynamic faith. Kitty Foth-Regner was a secular feminist who had bought hook, line, and sinker the ideals and objectives of Betty Friedan's N.O.W. Kitty's mother-a woman of faith-became sick and clearly was destined to die rather quickly. And the author began to wonder about whether she would be in heaven with her mother someday. This led her on a personal journey of faith. 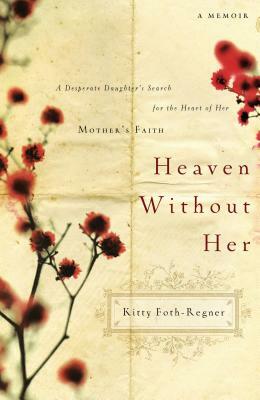 Heaven Without Her is Foth-Regner's personal memoir of how she found, to her amazement, that all the evidence points to Christianity.